My family loves having a big breakfast over the weekend when we have a little extra time on our hands. 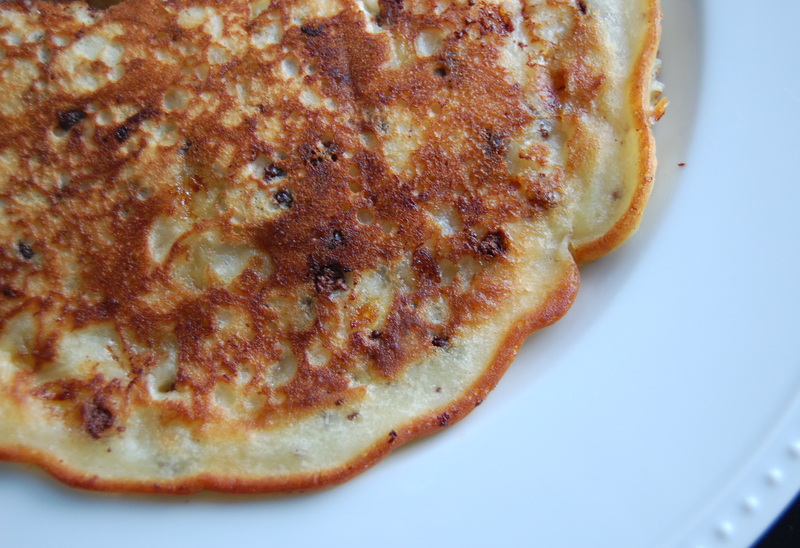 This pancake recipe is one of our favorites. It is my Grandma’s basic buttermilk pancake recipe with just a few extra special ingredients. You can make the pancakes any size, but for some reason I love making these almost as big as the pan! Mix the dry ingredients in a large bowl and set aside. Mix the buttermilk, melted butter or oil and eggs in a small bowl until combined. Mix the wet ingredients to the dry. Finally, mix in the chopped banana, mini chocolate chips and nuts if you are using them. Mix well, smashing the banana chunks as you go. Ladle into a well oiled pan (that makes them nice and crisp on the outside) and flip once you see bubbles form on the top. Eat them warm with syrup. They are sweet, indulgent and oh so delicious! 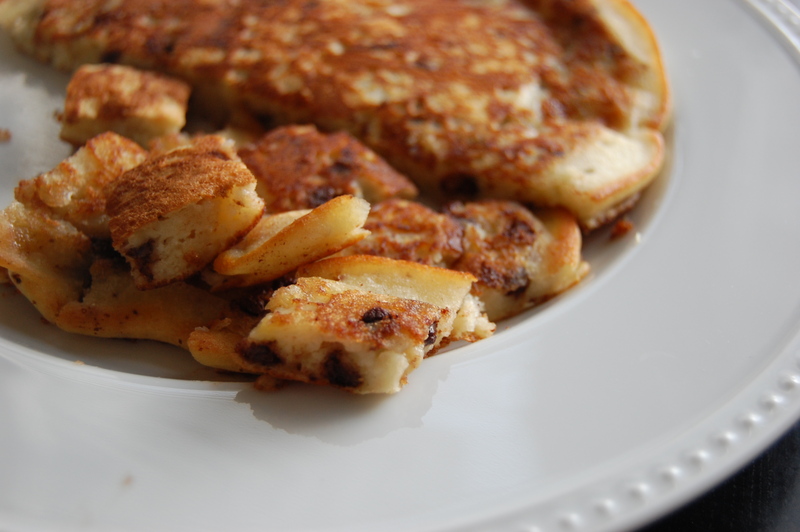 I have always LOVED chocolate chip pancakes! They’re a specialty of my dad’s! Why I never thought to think of bananas is beyond me!! Perfect combo!